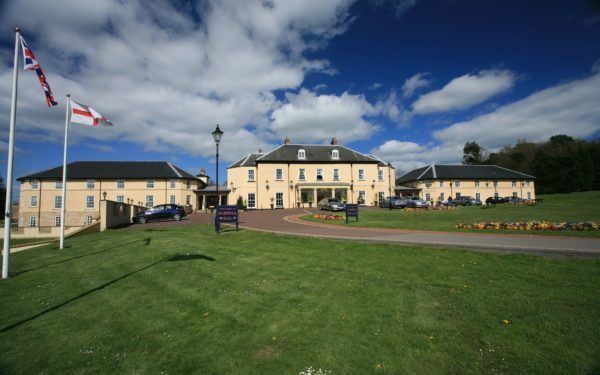 A four star, classic country house hotel located close to Beamish Museum. Situated in rolling parkland on the border of County Durham & Tyne & Wear. 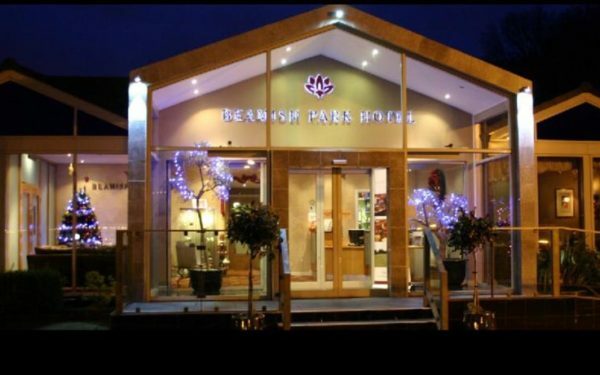 Situated in beautiful countryside, just one mile from Beamish, The North of England Open Air Museum, and only 10 minutes drive from Newcastle city centre, the Beamish Park is an independently owned hotel with 42 bedrooms. Perched high looking across the Beamish conservation valley lies Red Row Estate, just one mile from Beamish Museum. 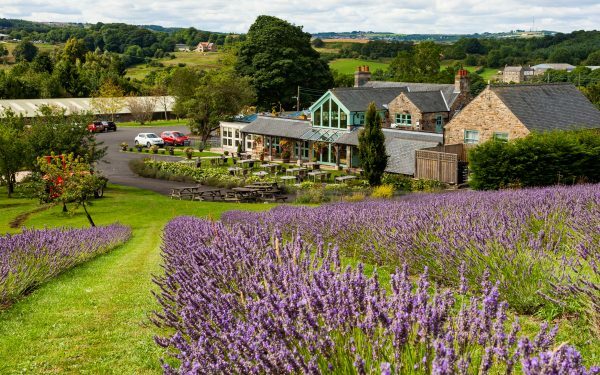 A glorious 37 acre sprawl with lavender field and woodland, riddled with wildlife and farmyard antiques, and home to the Black Horse Beamish, The Orchard Marquee, Red Row Retreat, Old Red Row and Huckleberry Cottage. We have stunning bedrooms for every mood. Whether you want to go catered or self-catered, private and secluded, super stylish, or rustic in Huckleberry Cottage, there’s a room waiting for you. Purchased and totally renovated in 2007, the Bowes Incline Hotel provides first class resident accommodation, wide-ranging quality menus in a spacious dining area, and the warm atmosphere of a friendly English Pub. The Comfort Inn Sunderland delivers an affordable hotel experience tailored to the needs of independent travellers. This non-smoking Sunderland hotel boasts 63 guest rooms suitable for families, business travellers and anyone in between. 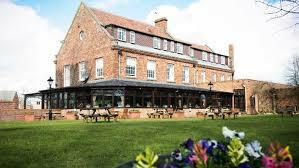 The Croft Hotel is a grade II listed hotel situated near Darlington. It offers intimate, luxurious accommodation in close proximity of Darlington. A stylish hotel near Newcastle city centre, with meeting facilities, free Wi-Fi and a fitness centre with a swimming pool. 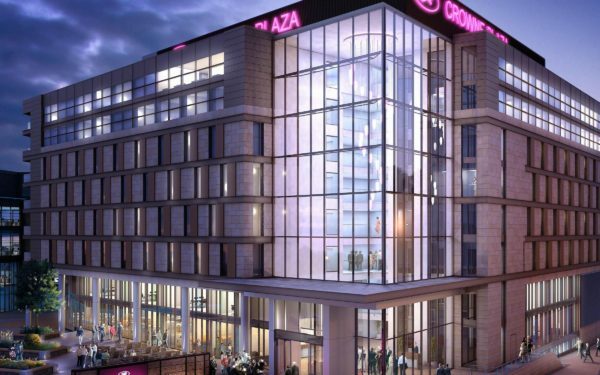 Crowne Plaza Newcastle – Stephenson Quarter hotel is conveniently located behind Newcastle railway station in the city centre. It’s just 15 minutes’ drive from Newcastle Airport(NCL), and two miles from Gateshead train station. Beautifully set in 20 acres of Northumberland countryside and overlooking the Derwent Valley, Derwent Manor Hotel offers the warmest of welcomes. Thirteen miles from Beamish Museum. Situated on the banks of the River Wear, the Durham Marriott Hotel Royal County offers sensational views of England’s famous Durham Castle and Cathedral. 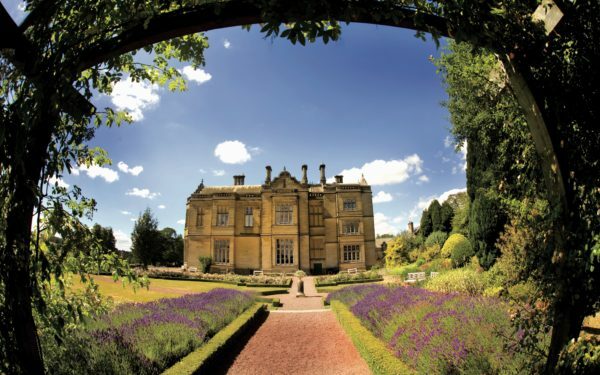 With a rich history, the hotel is a unique and inspirational venue in the picturesque village of Piercebridge. The Riverside Restaurant and our Ballroom are perfect for luxury dining and special breaks. Enjoy a luxury getaway to the North East of England in this newly refurbished 16th century country house hotel. Make yourselves comfortable and experience everything Hallgarth has to offer, including 4 star accommodation and relaxed dining. This modern hotel situated on the A1M, junction 59 is an ideal choice for exploring the North East England countryside. Stay in immaculate, tastefully decorated accommodation that is both contemporary and comforting and great value for money. 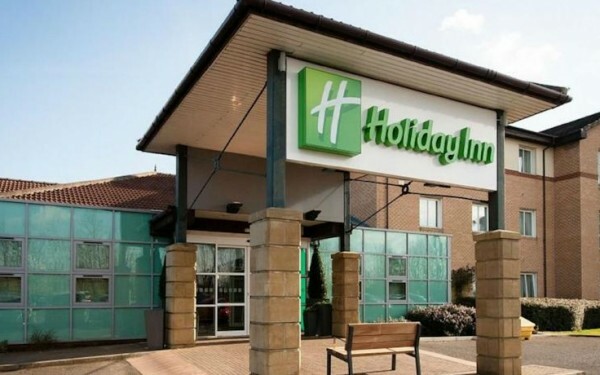 Between historic Durham, Sunderland and Newcastle, the Holiday Inn Washington UK hotel is ideally located in Tyne and Wear, just off the A1M junction 64. Set in the centre of Stanley, County Durham. Newly refurbished 23-bedroom hotel, offering en-suite bedrooms with coffee making facilities. A renowned breakfast. Options of double/twin, triple and family rooms. On-site restaurant, comfortable coffee lounge and meeting facilities. 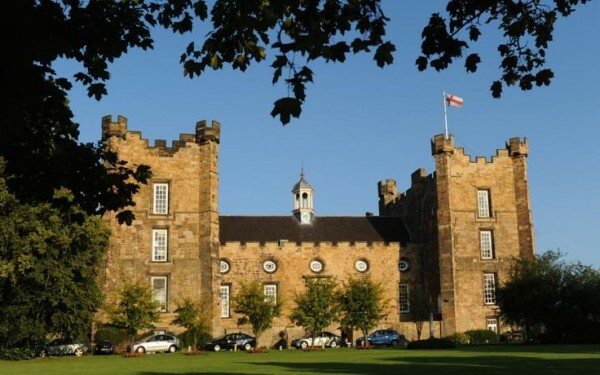 A unique four star hotel in a historic 13th century medieval Castle set in parkland just five miles from the Museum and close to the River Wear and Durham County Cricket Ground. 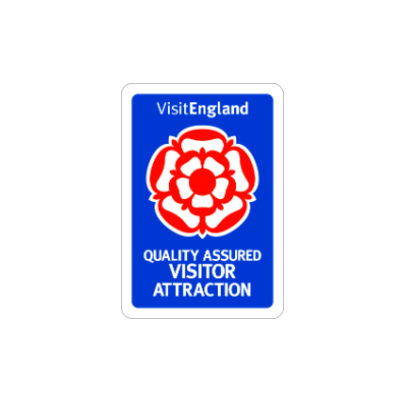 Room rates start from £99 for two including breakfast, please mention Beamish Museum when booking. Matfen Hall is an impressive early 19th century country house set in the heart of some of Northumberland’s most beautiful countryside. 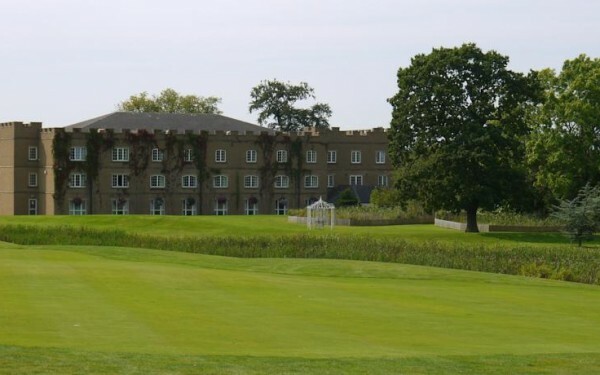 Between 1997 and 1999 Sir Hugh and Lady Blackett restored their ancestral home, creating a venue for golf and leisure breaks, conference, dining, spa and weddings. 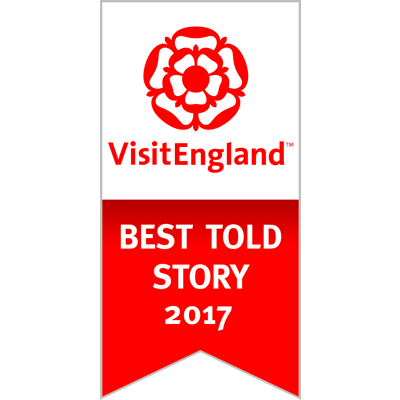 Why not visit Matfen Hall soon and experience a true Northumbrian welcome? 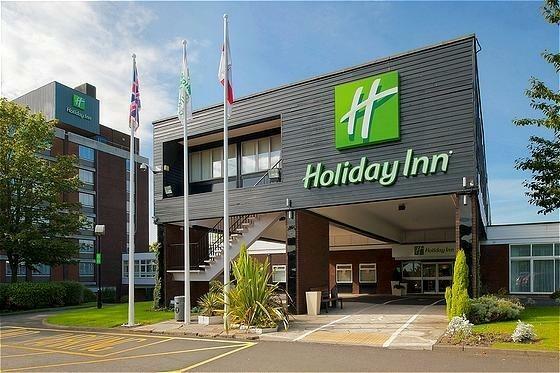 Just off the A1 and right outside the MetroCentre, Europe’s largest leisure and retail complex, this 4-star hotel offers a convenient location, luxurious, modern rooms and great comforts and amenities. 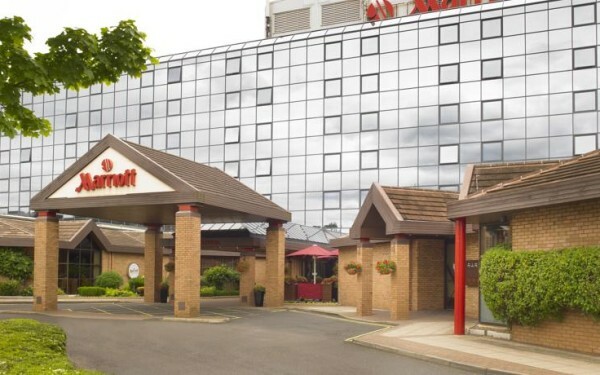 Just 10 minutes from Newcastle city centre, the Marriott Hotel MetroCentre boasts easy access to the area’s major road networks and a number of local attractions. 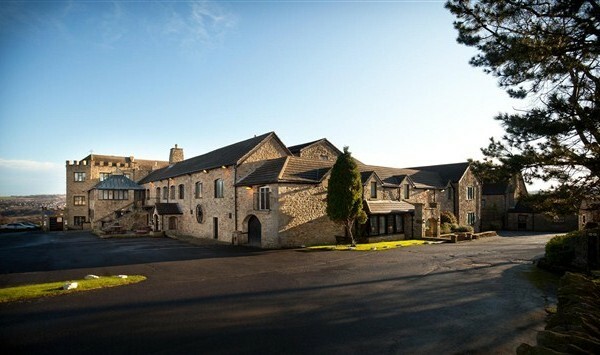 Set in a unique location within 350 acres of private grounds and surrounded by two 18 hole Championship golf courses and extensive gardens, Ramside Hall Hotel is the largest privately-owned luxury hotel in County Durham and Durham’s highest rated AA and 4 Star hotel on TripAdvisor. A perfect luxury base to discover Beamish. The AA rated 5-star resort boasts 61 luxury guest bedrooms, three restaurants, an award winning spa and championship golf course. 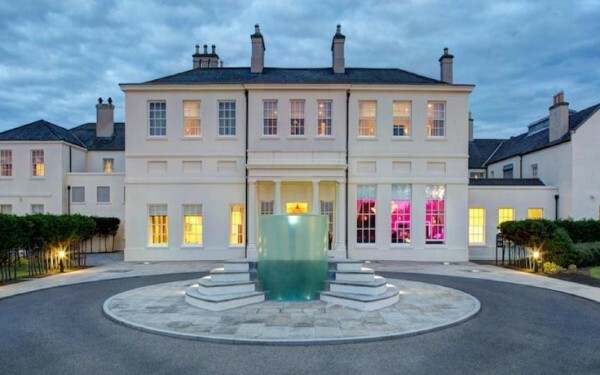 Dating back to 1791, Seaham Hall is a stunning five-star boutique hotel in Durham. 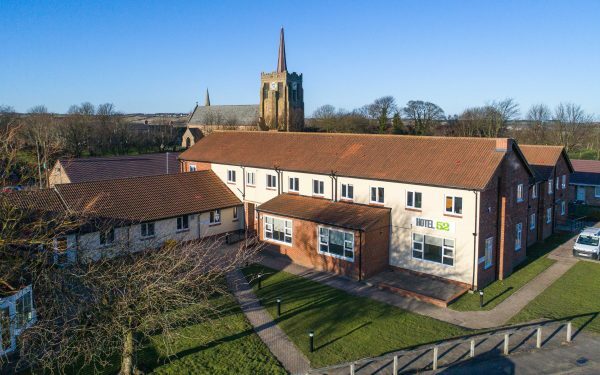 Situated amidst 37 acres of beautiful landscaped gardens in a striking cliff top location with evocative views out over Durham’s heritage coast line. 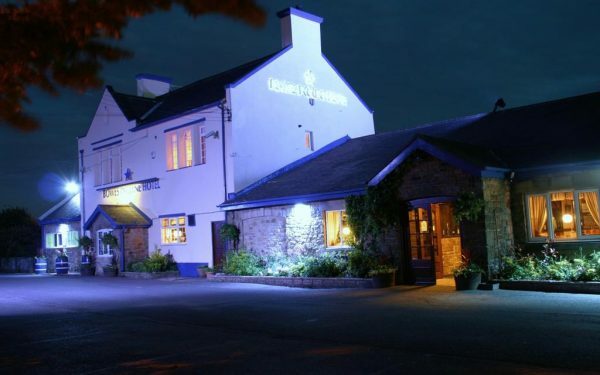 South Causey Inn is a friendly welcoming independent hotel which is lively & bustling with life. 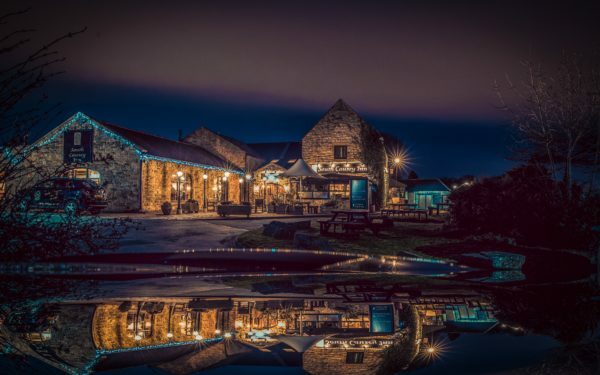 Set in 100 acres of the beautiful Beamish Valley, South Causey Inn is an adaptable venue for a host of different events from a family get together, a Wedding to remember, a meeting place for colleagues or a relaxing overnight stay. 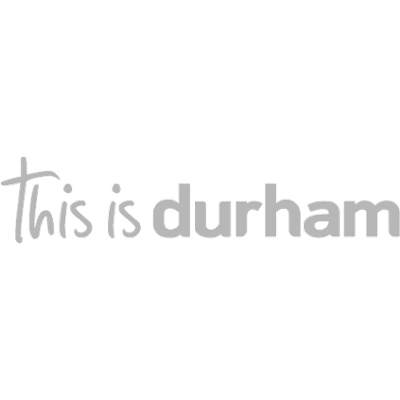 We are splendidly situated only 6 miles from Durham City and 6 miles from Newcastle. Beamish Museum is situated about 5 minutes away by car. Thistledowne is a family house available to rent as a holiday let from a minimum two days up to one month. Situated in the popular leafy suburbs of Jesmond, 91 Aparthotel Jesmond Road is a stylish mix of 16 serviced apartments in Newcastle designed & built to the highest standards. A homely welcome awaits you when you enter Allensford Cottage, a detached cottage near Castleside in County Durham, with its cosy sitting room, dining area and well-equipped kitchen, making a great place for friends to relax and make plans. Duncan Bannatyne’s signature hotel, Bannatyne Hotel Darlington is a stunning Grade II listed Georgian town house where the grandeur and warmth of a historic past, meets contemporary convenience and style. Bannatyne Hotel is perfectly situated close to the historic and beautiful city centre of Durham. As it’s located close to the A1 and A690, this allows for ease of access and is the ideal choice for business, leisure and family stays. For a true city break with wonderful river views, stay in Baltic Quay Apartment located within the prestigious ‘Baltic Quays Development’ on the Gateshead Quays side of the River Tyne. Enjoy fabulous views of the city of Newcastle and its many iconic landmarks, including the world-famous Tyne Bridge, The Baltic Centre for Contemporary Art, the ‘blinking’ Millennium Bridge and of course, the impressive concert venue of Sage Gateshead. The Barn is a spacious 4 star self catering cottage renovated to a very high standard. Set in peaceful surroundings, the cottage offers spacious living with all modern facilities for up to 5 people. The location offers woodland walks and the famous Derwent Walk. Access to the city centre of Newcastle upon Tyne is within an easy 20 minute drive. Belle View cottage offers a relaxing ‘away from it all’ holiday destination set above Bollihope Burn in Weardale with stunning views over the moors and the North Pennines Area of Outstanding Natural Beauty. The cottage sleeps three, with lovely walks from the door. Located 1.5 miles from the A68, Bonners Lodge can be found on the edge of the beautiful Durham Dales in a designated area of outstanding natural beauty with stunning views over the countryside. A sheltered site set in the County Durham countryside one mile from Beamish Museum, offering static and touring caravan facilities with shared amenities. Situated close to the village of Hunwick, Bracken Hill Farm Cottage is a delightful self-catering property situated at the gate-way to the Durham Dales and is easily accessible by car and public transport. Brancepeth Castle is one of the oldest continuously fortified sites in the north-east. Its origins go back to Saxon times, and the oldest parts of the current building were built by the Nevilles in the 14th century. The Quartermaster’s holiday flat sits between the medieval Constable Tower and the Regency Russell Tower. It sleeps 3, in a double room and a single. Byreside Caravan Site is situated on a family run farm in the historic Derwent Valley. Located in Newcastle Quayside, Copthorne Hotel Newcastle is the perfect base from which to explore. With 100% of its 156 rooms overlooking the River Tyne, there’s nowhere better in the city to stay with a Quayside view. The hotel has a spacious feel, secure on-site car park and restaurants, shops and nightlife just a short stroll away in the hustle and bustle of the city centre. For art and music lovers, the hotel is ideally situated near the Metro Radio Arena, SAGE Gateshead, and the Baltic Arts Centre. Newcastle United Football Club, Beamish Open-Air Museum, the Millennium Bridge, and Newcastle’s only Michelin star restaurant are all also within easy reach. Enjoy a holiday at Crimdon Dene or take your own tourer for a stay. Located halfway between Sunderland and Darlington on the A1, Days Inn Durham offers comfortable accommodation at an affordable rate. Dowfold House Luxury Bed and Breakfast is a comfortable, peaceful Victorian house in a quiet rural location overlooking Crook, in Weardale, County Durham. The perfect location for visiting Durham and North East England. Stay in one of our well equipped cottages and get away from it all, while feeling at home. All our holiday lets are located in the village of Sedgefield and offer perfect self-catering accommodation. 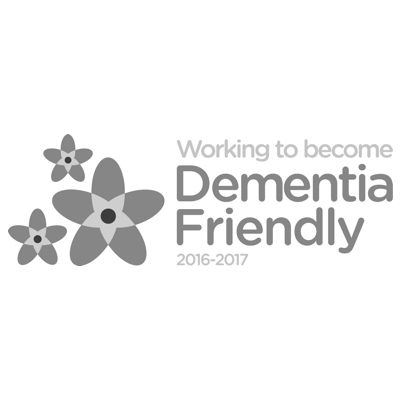 They can be booked all together or separately ensuring you have a fantastic break with family, friends or business colleagues. Enjoy the charm and character of this 17th century stone farmhouse standing in one and a half acres of landscaped gardens and meadow amidst the beautiful local scenery. Perfect for a relaxing holiday, weekend break, golfing, walking or business stopover. Fully restored and offering well-presented accommodation, this cottage provides an ideal country retreat for those wishing to get away from it all and enjoy the sights and sounds of the countryside in a beautiful peaceful setting. Set in the heart of the beautiful County Durham countryside, the park lies within a meander of the River Wear and overlooks the ruins of a Benedictine Priory. An Adult Only Touring Park situated 7 miles away from Beamish. Self catering accommodation within an 11th Century Farmhouse. The property is set against the backdrop of the priory within a meander of the river Wear and offers luxury, peace and tranquillity. Ford Cottage is ideally situated for exploring both the stunning North East countryside, as well as the vibrant city centre of Newcastle which is just a 30-minute drive away on the nearby A68. 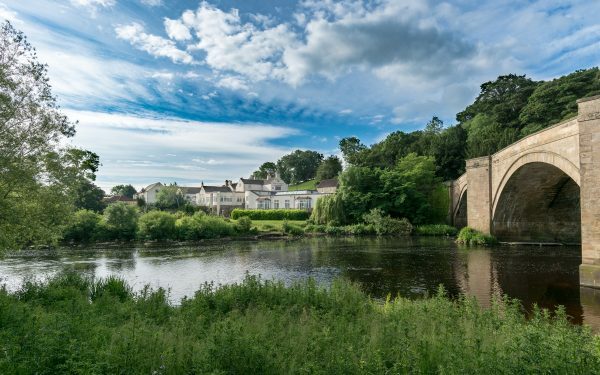 Ford Cottage is located in the picturesque hamlet of Allensford on the border with Country Durham and is just a stone’s throw from the beautiful River Derwent and the 14-acre Allensford Country Park – great for picnics with a riverside setting! Standing proudly in the dramatic setting of south street’s high-end historical architecture Forty Winks packs a visual punch overlooking the river wear in full view of majestic Durham Cathedral and Castle dominating the stunning city skyline. A modern hotel, in a village setting, with 45 en-suite double bedrooms. Six miles from Beamish Museum. Grey Street Hotel is situated at the heart of Newcastle City Centre, perfect for exploring the city centre itself and nearby attractions and beauty spots. The elegant Georgian bedrooms in this boutique hotel boast high ceilings, many original features, unique split-level floors and large sash windows (triple-glazed). 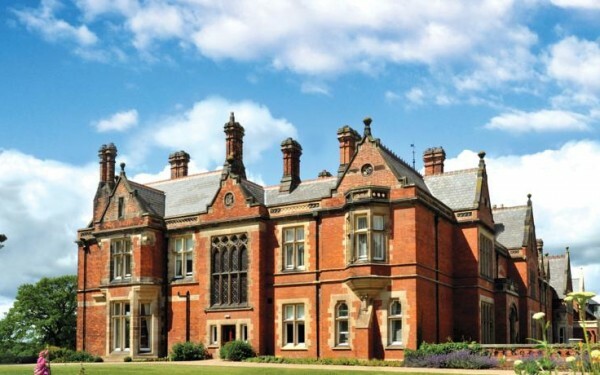 Hall Garth Hotel and Country Club is a stunning period property set within 70 acres of its own parkland, just outside the attractive market town of Darlington. Self catering cottages ideally situated for touring Durham and Northumberland, and only a short drive away from Beamish Museum. 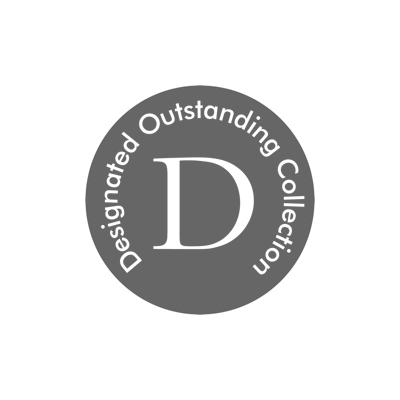 A great choice of 5 star rated bed & breakfast or accessible self-catering accommodation. Hedley Hall provides a tranquil refuge from the stresses of the outside world. An ideally located hotel in Durham, less than 3 miles from Durham City Centre, the Honest Lawyer Hotel offers comfortable accommodation at affordable prices, fine food and drink, and a friendly welcome. 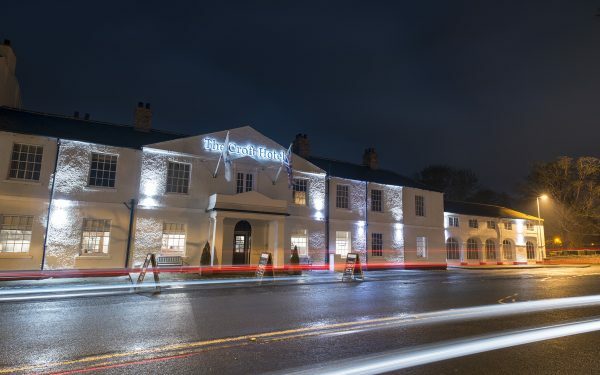 Hotel 52 is an exclusive 32 bedroom hotel located in an excellent position in Whitley Bay, with just a short walk to the town centre and award-winning beaches at the end of the road. Set in former university offices at Old Shire Hall, the Hotel Indigo® Durham welcomes you into a world of Victorian luxury. Brass etchings line our lobby walls, marble tiles adorn floors and stained glass dapples the light in our Rotunda Bar. Bespoke prints and textiles furnish elegant guest rooms where you can drift off in blissful spa bathrooms, recharge with Nespresso® coffee and relish cathedral views. Superfast WiFi reconnects you instantly with reality. 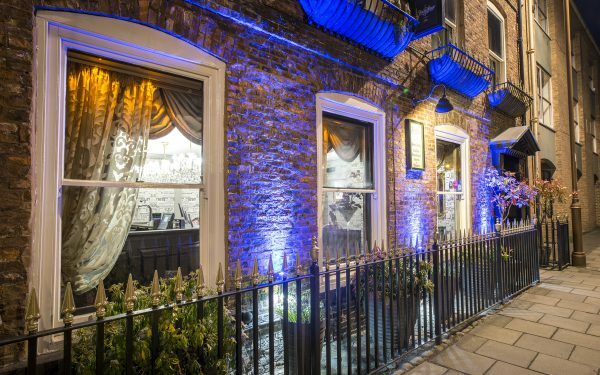 This boutique Newcastle hotel offers quirky, 4-star accommodation 2 minutes’ walk from Central Station. Its rooms are striking and unique, there is a fantastic Marco Pierre White restaurant on site, and Wi-Fi is free throughout the building. Thought to date back to the 1770s, Houndgate Townhouse provides an elegant setting for luxurious en suite accommodation in central Darlington. 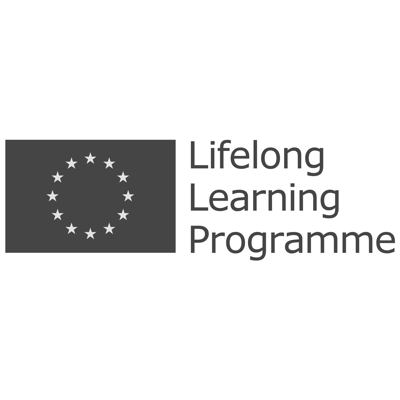 Joined-Up Holidays is a project born of a desire to connect people with animals, nature and the natural environment regardless of anyone’s special needs or disabilities. By offering farm visits with activities individually tailored to the needs and wishes of each guest, they hope to offer everyone their own unique, fun and informative experience. Stanegate Cottage is a 4* self-catering holiday cottage near Hexham in Northumberland (45 minutes by car). The cottage is beautifully presented and sleeps up to 4/5 and 2 dogs. Just a stone’s throw away from the heart of historic Durham city yet surrounded by peaceful woodland, The Kingslodge Inn has all the benefits of a city centre location but with a laid back, relaxed vibe. Langley Castle is a genuine 14th Century castle, nestling in the valleys of Northumberland, with Hadrian’s Wall just a stone’s throw away. Set in 10 acres of secluded estate, where peacocks strut proudly, this is the perfect retreat for a romantic escape or special break. This charming former youth hostel offers simple, clean, good value accommodation in beautiful surroundings. With a range of rooms for families, couples and individuals, plus camping pitches, it has something to suit everyone’s needs and budget. Luxury self catering cottages on a farm, sleeps 4, twin and double ensuite bedrooms, in the countryside, 3 miles from Beamish Museum. Perfect location to explore Durham, Newcastle, Gateshead, Sunderland and Northumberland. Farm BnB also available. A charming English manor house close to the A1 road, with a gym, swimming pool, sauna and spa. Wi-Fi is free in public areas and food is served all day. Sunderland’s only four star hotel located on the seafront overlooking the sandy beaches at Seaburn two miles north of the city centre. All bedrooms have en-suite facilities – many enjoying sea views. The hotel also boasts three luxurious suites complete with a glazed rotunda overlooking the sea. A beautiful cottage built in 1850, sleeping 4, one king size room and twin room. A well behaved dog is welcome to bring it’s owners and we are only 10 minutes by car from Beamish Museum. 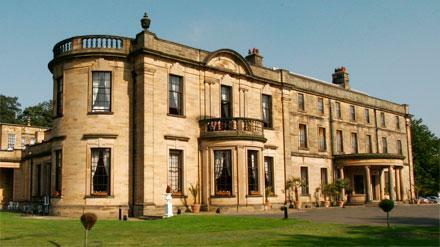 Murray Park is the perfect base for exploring the North East, Tyne, Wear and County Durham. This well-presented holiday home is the ideal property for families, friends and small groups who wish to enjoy their holiday together. Moor End is a pleasantly situated stone-built house built in 1840. It is close to Durham city centre and the A1(M) with excellent pubs and restaurants nearby. Situated in picturesque Teesdale countryside, and easily accessible from the A66, we offer world-renowned northern hospitality and an unstuffy, romantic atmosphere. The perfect retreat set in a working farm in Lower Weardale close to Wolsingham, Frosterley and Stanhope. This is a peaceful base from which to explore the historical splendour and industrial past of County Durham and beyond, with Byers Green being within 15 minutes drive of Durham and Bishop Auckland . A warm welcome awaits you at The Old Post Office; luxurious rooms, comfort and delicious food in a charming characterful bed and breakfast. Three luxury cottages nestled in the heart of rural County Durham. Whatever your preference; by bicycle, car, horseback, with your pooch or simply on foot – explore this Area of Outstanding Natural Beauty, the North Pennines and beyond into Northumberland, whilst retreating every evening to the Luxury of The Old Stables. Delightfully designed around a traditional courtyard setting, the Park Head Country Hotel and Restaurant has all the facilities one would expect from a modern city centre hotel whilst enjoying a delightful rural setting with views over County Durham. This beautiful former barn has been lovingly and sympathetically restored and offers stylish family friendly accommodation in an Area of Outstanding Natural Beauty of the splendid North Pennines. Converted from a former piggery, this beautiful, newly built stone holiday cottage gives spacious 5 star accommodation for 6 people. Set in its own peaceful, private surroundings, the Piggery offers every luxury including underfloor heating throughout. Whatever brings you to this part of the North East, Premier Inn Sunderland City Centre is a handy spot to spend a night or two. 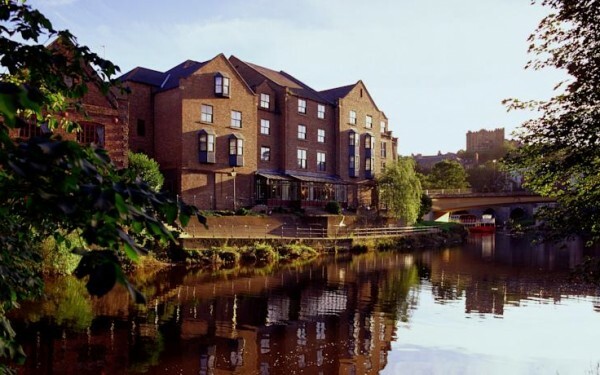 History, culture and entertainment come together at Premier Inn Durham City Centre – less than half a mile from the World Heritage Centre by the River Wear. You can live on the edge at the Premier Inn Durham East. That’s because we’re conveniently positioned on the city’s outskirts – just seven minutes from the station by taxi. Just to the north of bustling Durham and a short drive from Beamish Museum and Pity Me, enjoy the best of both worlds at the Premier Inn Durham North: peaceful nights in a quiet neighbourhood, just minutes from the city centre. Football, shopping, nightlife, culture – Premier Inn Newcastle (The Gate) has it all just a hop, skip and jump away. Soak up Newcastle’s rich shipping history in the Premier Inn Hotel Newcastle Quayside. With stunning views over the River Tyne, this Grade 2 listed building is perfectly positioned for exploring the city. Get closer to big brands, top entertainment and fabulous food at the Premier Inn Newcastle (Metro Centre). The Premier Inn Newcastle South puts you in the perfect spot for Newcastle, Sunderland and Durham. A handy hub for all your travels in the North East, the Premier Inn Newcastle Washington puts you bang in between Newcastle, Sunderland and Durham. Premier Inn North Shields is ideally located if you’re taking a ferry to Europe and very handy for local business centres too. Premier Inn Hotel Sunderland North West is very close to the beating heart of Sunderland, while the beach is just a heartbeat away too. Premier Inn Stockton-on-Tees/Hartlepool hotel puts you at the heart of the North East. From historic landmarks to state-of-the-art business parks, breath-taking coastline to heart-stopping sports action, there’s so much to see and do, all on your doorstep. Premier Suites Newcastle is located in the heart of this vibrant city. Ideally located for business or pleasure trips, you will find Premier Suites serviced apartments the ideal alternative to a traditional hotel. Enjoy the space and flexibility to make your stay a real home from home. One of the region’s newest and most stylish hotels situated only 15 minutes from Beamish Museum. With 82 en-suite bedrooms available, Quality Hotel Boldon needs to be on the top of everyone’s list for a leisurely break! An attractive home base amidst the rugged countryside, the Radisson Blu Hotel, Durham is the perfect home base for exploring North East England. Guests can take in sweeping views of the River Wear, and the city centre location affords easy access to Durham City. All 207 rooms and suites feature Free high-speed, wireless Internet. Only 15 minutes from Beamish Museum. Luxury Self Catering Cottages only 7 minutes from Beamish Museum, set on a family farm surrounded by peaceful countryside sleeping between 2 -9 persons. Perfect location to explore Durham, Newcastle, Gateshead, Sunderland and Northumberland. Bed & Breakfast, two double bedrooms, 1 twin room all en-suite surrounded by countryside, only two miles from Beamish. A wonderfully tranquil seaside exterior but inside awaits a haven of contemporary, chic and slightly quirky interiors and a delicious, tempting array of food and drink all with a courteous, personable and memorable service. Centrally located in the heart of the city adjoining Newcastle Central Station and metro system, just 10 minutes walk from the bustling city centre with its shops, restaurants, bars and theatres. Luxury self- catering holiday cottage in Wolsingham located on a family run working farm in an Area of Outstanding Natural Beauty. The Saxon Inn is set in the idyllic village of Escomb near Bishop Auckland overlooking the Saxon Church. A wonderful little Inn offering food and drinks as well as accommodation. 8 newly built En-Suite bedrooms offering accommodation for families as well as couples and single travellers. Everything you need in one place set in the beautiful North East country side. Dating back to 1724, The Seven Stars Inn is an English country Inn and restaurant located in the picturesque village of Shincliffe, only one and a half miles from Durham City centre. Slaley Hall is an Edwardian mansion set in 1,000 acres of Northumberland countryside, perfect for an idyllic short break. 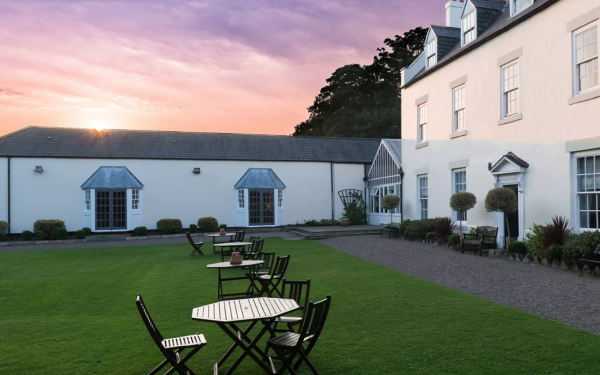 Set in 1000 acres of beautiful Northumbrian woodland and moorland Slaley Hall Lodges is the perfect location for a couples retreat or family break to reconnect, re-charge the batteries and explore the stunning and invigorating local countryside. Stretching across northern England, just to the South of Hadrian’s Wall, the Stanegate is the Roman road linking Corbridge, Vindolanda and Carlisle. Stanegate Hideaways provide the perfect places for escape, where you and your family will be most welcome! 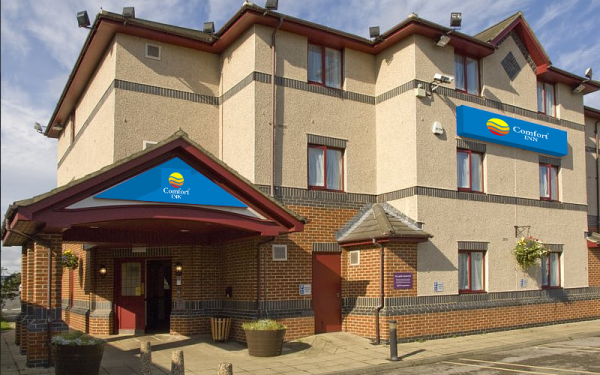 Staybridge Suites Newcastle is a central all-suite hotel with on-site parking, free WiFi and inclusive breakfast. We provide a relaxing, home from home, apartment-style accommodation just a short stroll from the Quayside district and less than a 15-minute walk from Newcastle Central Station. 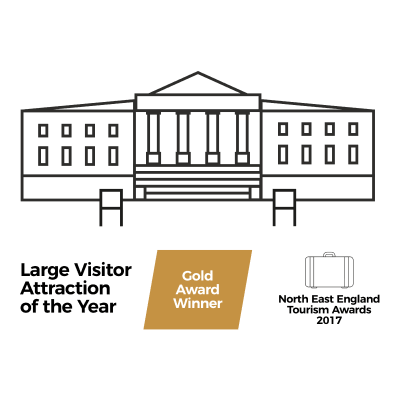 Luxury 5* and award winning cottage for two on a working farm in the Heart of Hadrian’s Wall Country, superbly located for days out across the North East of England. Our venue, located in Barnard Castle, County Durham, is a purpose built accommodation block built in 2010. It houses a number of rooms for both community and private use. We have 5 bedrooms that house 33 beds between them plus three private bathrooms. The bedrooms are within a lockable accommodation block that has its own access and carpark. Each bedroom also has a vanity unit and storage. Access to the atrium, grounds and kitchen are included in your stay. 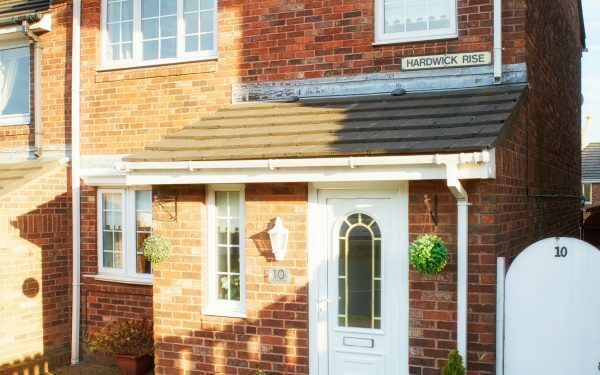 With unspoiled views of the surrounding countryside and just a short drive from Durham City. Our family owned and run business is dedicated to offering you the very best relaxing experience in a beautiful, modern, and comfortable guest house. Combining old character in the form of 1930s grandeur with contemporary elegance and four-star luxury, this landmark hotel is your base from which to discover the many bars, shops and attractions of the town centre and wider area. Newcastle Village Hotel sits between the bustling city and the fine beaches at Longsands and Whitley Bay, next to a Country Park, and handy for the main A19 road. Vindomora Country Lodges comprises of five, 4 Star real log cabins, all with private hot tubs, located on the banks of the River Derwent in Northumberland, near to the picturesque village of Ebchester. Nestled in a tranquil location with views across open countryside, our lodges are also central to many attractions including Beamish Museum, located only 15 minutes away. We provide a bespoke holiday experience, built around our guests requirements with First Class Customer Service. A unique glamping experience in traditional Mongolian Yurts, set in secluded woodland within the National Trust Gibside estate. Perfect for families and children to unplug from modern day life and reconnect. A lovely historic mansion in 70 acres of parkland, within easy driving distance of the Beamish Museum, and just 6 miles from historic Durham and the A1M. With 29 bedrooms, restaurant, modern brasserie, bar and conservatory, Whitworth Hall is the perfect choice for a short break.